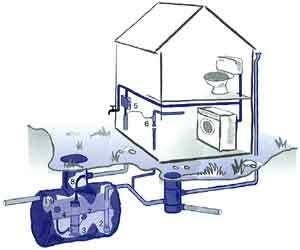 Pumping systems can be designed and fitted to use mains water or collect and utilise rain water / grey water for a variety of applications: from stand pipes and garden irrigation to washing and toilet flushing. SPE supply tailored systems for garden irrigation and water features of all sizes, including commercial grounds, residential gardens and sports field applications. 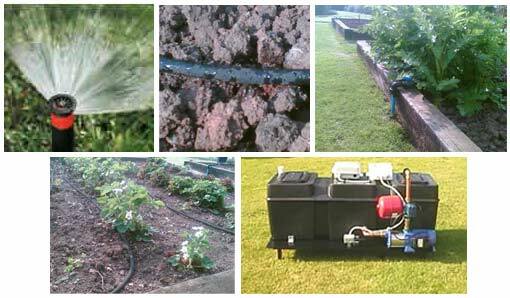 From flowerbed and vegetable garden irrigation, through ponds and fountains, to lawn sprinkler systems, we are happy working on individual projects or with designers, builders and landscapers. Our irrigation systems use automatic controllers, programmed to suit each individual installation. The control units offer dial programming, each with 4 start times and such conveniences as a built-in 365 day calendar and rain sensor bypass. Well water, if you are lucky enough to have a well, can be used for either drinking or irrigation purposes. SPE can test the water to see if comes up to British drinking water standards and, in some cases, can treat it to make it suitable for consumption. However, as this can be a very costly exercise, this 'grey' water can be utlilised for household washing or irrigation purposes. SPE offer expert advice for all your pumping needs and go to great lengths to ensure the products supplied to our customers are of the highest quality and are backed up by a genuine manufacturers warranty. Our customer base extends from private gardens to blue chip multinational companies nationwide.